Google Maps for iOS is immensely popular even though Apple Maps do exist and the app has come a long way since its inception. The authenticity of the information provided by Google, their experience and expertise in covering almost every corner of the world is something Apple can’t match easily. In a recent update, a new version of the Google Maps app for iOS has been released with improved features. The developers have officially launched the Quick Access menu which is available on Android smartphones for a very long time now. When you open the quick access menu, you will immediately gain access to a trio of important information that includes Explore, Driving,and Transit. The names are quite self-explanatory as the Explore tab allows you to easily find everything you need in the vicinity. Apple iPhone X and iOS users no longer have to make multiple searches in order to find the nearest ATM, restaurant or a shop. The simple access button will provide all the information you would need at a quick glance. The transit panel simplifies the process of finding a local transportation, be it a bus or a train to reach your desired destination. Everything including the pickup spot for a bus, timings and train timings, the nearest station will be displayed on your map by default based on your current location. 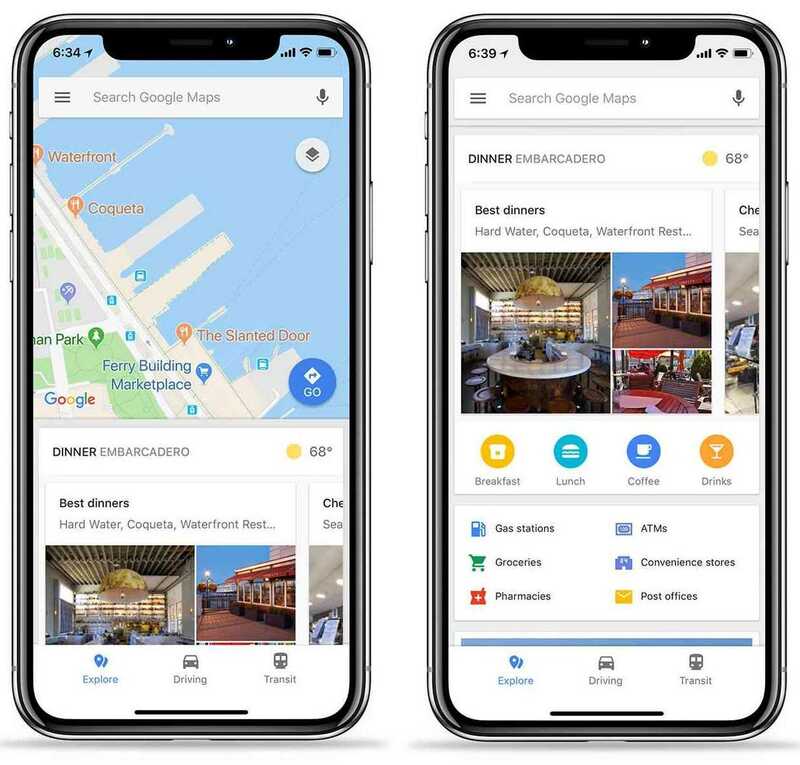 When you swipe the menu up, it provides much more information including details such as distance to reach the spot, options to find a favorite restaurant that serves a cuisine of your choice and photographs of places making it easier to find them physically. For Android users, this may not be an impressive addition as they are usually the first to get the best Google has to offer, especially when it deals with apps like Gmail or Google Apps. For iPhone users, it’s a welcome addition as they can rely more on Maps and not on Apple Maps which still has a long way to go to deliver what Google has been doing for years now. 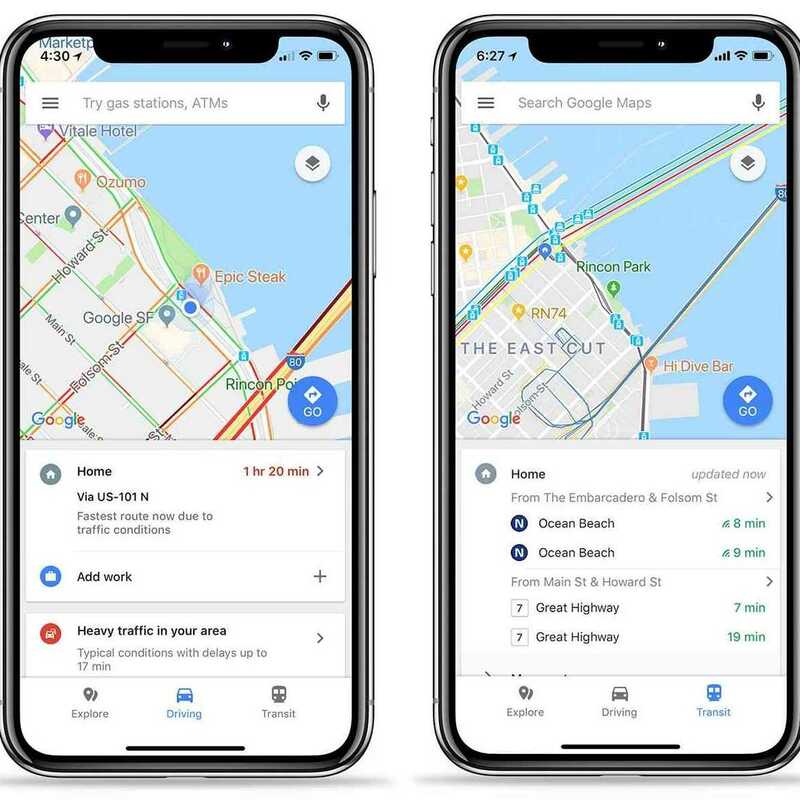 A couple of screenshots of how the new and improved Google Maps would look on Apple iPhone X has been posted on the official blog. You can take a look to get an idea of how informative and useful this new update it besides getting to see how the top notch has been balanced in the new UI for Maps. The update for iOS should automatically download if your settings allow it.